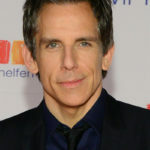 Ben Stiller is an American actor, comedian and filmmaker. He is the son of veteran comedians and actors Jerry Stiller and Anne Meara. "Paul is Starsky, and I met him before shooting. He was very kind and encouraged us to go with what we wanted to do. It was very sweet to see them back with the car after 25 years." "I love New York. I was sad, depressed and incredibly moved by our fellow countrymen and what they’ve done. I wanted to give people a chance to see something funny, have a distraction." "It was a mixed blessing to have famous parents. It was tough to go to auditions and be bad, since I couldn’t be anonymous." "I don’t think know if anything’s going to translate anywhere. You’re making a movie, you hope it’s going to be funny, you can’t think about how it’s going to go over." "I’m not an expert on the Malaysian sense of humor."